January had two full Moons; a Super Full Moon on the 1st, and a Super Full Blue Moon Eclipse on the 31st. February had no Full Moon. And March will have two again, beginning on day one with the Virgo Full Moon (11 degrees) and a Blue Moon on the last day. The earthy Virgo Full Moon provides a balance to the watery, dreamy, potentially overwhelming deluge of multiple planets in Pisces. 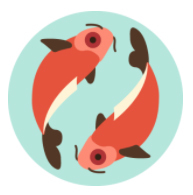 Virgo and Pisces differ in that Pisces is all about feelings and intuition. Virgo is mental and analytical. Pisces is flowing water. Virgo is grounded earth. They are similar in that they are both adaptable. The difference lies in boundaries. Pisces has none and is one of its lessons in life. They are both healers and servers. Pisces is the universal healer and performs on a more cosmic and unconventional level. Virgo operates on a more practical, down to earth, daily needs level. This Virgo Full Moon brings to light what we are ready to heal, purify, refine, and simplify with in ourselves. Virgo rules the small intestine whose function is to determine what’s nourishing and what’s toxic. Virgo is said to rule daily health, hygiene and diet. The Full Moon also opposes Neptune, coinciding with the Sun’s annual meeting with the Pisces planetary ruler (exact on the 4th). This opposition may cause some confusion, so It’s wise to attempt maximum clarity today. Make sure the other heard what you thought you said, and vice versa. Mercury, the messenger, planetary ruler of Virgo is also in Pisces. We can receive powerful messages from our deeper selves when we relax our minds in a state of allowing, curiosity, and wonder. Mercury is closely joined to Venus until the 23rd. Pleasure, sensuality, making art, and making love can be avenues for expanding our intuition and imagination. Mercury and Venus closely trine Jupiter (23 degrees) in the first couple of days of March, helping us look beyond the surface to see deeper meanings and truth. The pair also square Mars in Sagittarius (21 degrees). Words can be harsher than meant and may seem to judge or push beliefs onto others. Heartfelt, vulnerable communication opens doors to transformation and deeper intimacy, though Mars in Sagittarius, wielding the sword of the truth warrior can also help to cut through the Piscean tendencies toward illusion. On Sunday the 4th the Sun’s meeting with Neptune is exact (13 degrees). The Sun is our light, our creative life force, our individuality and will. As it meets Neptune we could feel lost, confused, and lacking vitality. This may have been felt for the last few days. We may be able to see more clearly what is out of alignment in our lives, what drains us rather than inspires us. With the Mercury and Venus meeting also exact on this day (26 degrees) we may be more receptive to the guidance of our soul, which speaks to us through feelings, dreams, and intuition. Venus reappears as an evening star also on the 4th, after nearly four months (in the underworld) as a morning star. To the ancients, morning star and evening star Venus were two faces of the goddess, the warrior and the lover. Since November 16th we we’ve been healing the parts of us at war with ourselves and others. As Venus reappears in the evening the lover in us is reborn. In the next couple of days both Mercury and Venus move into Aries, helping us become more expressive and assertive. Venus will be there till the end of March. Mercury will be there till mid-May, as it retrogrades from March 23rd till April 15th. Jupiter begins its annual retrograde period on the 8th (23 degrees), International Women’s day. Giant Jupiter is bigger than all the other planets combined. Jupiter represents expansion, wisdom and the higher mind, spontaneity and generosity. Jupiter brings the desire to learn from experience and the urge to improve the state of things. While Jupiter is retrograde getting the lessons and being able to implement improvements may take until after July 11th when Jupiter returns to direct motion. An inner journey is required before outer developments can continue. Do celebrate International Women’s Day in a way that honors us. On Saturday the 10th, we may be tempted with negativity in our thoughts and words. The Moon is in serious Capricorn, and Mercury in impulsive Aries squares critical Saturn (8 degrees). So, put extra energy into being positive and kind. Also, Mars in dare-devil Sagittarius trines risk taking Uranus in fiery Aries (26 degrees) in the early am on Sunday, though the influence will be felt Saturday night. So, be cautious and responsible. However, trying something new and different (though safe) may be just the thing to spice things up. Sunday, the 11th Daylight Savings Time begins, (Yay!) and we start having longer days. Also, the Sun sextiles Pluto in Capricorn today (20 degrees), reinforcing our sense of self and confidence. On Tuesday, the 13th Venus in Aries squares Saturn in Capricorn (8 degrees), there could be money worries and/or problems in a relationship. But the Sun in Pisces trines generous Jupiter in Scorpio in the afternoon and may help us keep a positive attitude. And not feeling good enough could incline us to make extra effort. The New Moon in Pisces falls on St Patrick’s day, Saturday, the 17th (27 degrees). Pisces holds the most spiritual energies of the zodiac. So, the Pisces New Moon, when both Sun and Moon join in Pisces is meant to be a spiritual journey. It is a time for rest, healing, reflection, and spiritual replenishment, helping us to realign with the flow of life. When we let go of resistance and judgement and bring forth our compassion, forgiveness, and acceptance, we have a starting point for creating miracles. This is a time to prepare for the equinox rebirth, when the Sun goes into Aries on March 20th and starts a new astrological cycle. The Pisces-ruled realms of sleep, dreams, meditation, downtime, playtime, and creativity have been undervalued and deprioritized, often seen as frivolous or a waste of time. But research has shown these “non-essentials” enhance our creativity and productivity. They improve brain function and result in happier, more fulfilling lives. Spirit and matter are not separate; we are a physical expression or extension of Source Energy. Mars in the last degree of Sagittarius squares the new Moon and could stir up restlessness and impatience. We might be enticed into conflict arising from a sense of righteousness or judgment. Try to move beyond the dualist thinking of right and wrong, and open our hearts to a love that is big enough to hold all truths. We can best share our truth with others through our daily dedication to practicing our ideals. Mars moves into Capricorn later this morning. The Vernal Equinox is on Tuesday, the 20th, when the Sun moves into Aries and we begin a new Astrological cycle as the season turns from winter to spring. On the 22nd Mercury in Aries begins its retrograde period (16 degrees). Until April 15th it is very important to be clear in communication, reading fine print of all documents, and giving directions, as this is classically a time when mistakes in paperwork and communication often happen. On Friday, the 23rd Venus in Aries squares intense Pluto in Capricorn (21 degrees), which could compel some issues in relationships. Try to keep things light without minimizing someone else’s feelings. Stay open. The aspects for the weekend don’t look like there’s much chance of resolve with the Aries Sun squaring Mars in Capricorn (4 degrees) and the Moon in sensitive Cancer opposing both Mars (4 degrees) and Saturn (8 degrees). Be gentle and listen more than trying to put your views across. Sunday, the 25th doesn’t look much better, but starting Monday, the 26th the aspects are much more harmonious. On the 28th Venus crosses Uranus in Aries (27 degrees), making this a good evening for a loving surprise to break the ice and to attempt any reconciliation still needed. On the morning of the 29th the Aries Sun squares Saturn in Capricorn (8 degrees). Some may wake up on the “wrong side of the bed.” So, be extra cautious if you’re out and about driving, or experiencing people in bad moods. If you’re the one who is off kilter, be compassionate and easy with yourself. On the 30th Venus is first of the planets to move into Taurus time. And lastly the second Full Moon, another Blue. This one in Libra (10 degrees) opposing the Sun in Aries. Full Moon in Libra brings relationships of all kinds into focus. Retrograde Mercury, traveling close to the Sun invites us to get a new perspective on our relationships by looking deep within ourselves. Venus, ruler of Libra, currently in Taurus (also the planetary ruler) reminds us that whatever is manifesting in our relationships reflect the primary relationship with self. Mars, planetary ruler of Aries, currently in Capricorn joining Saturn (8 degrees) square both the Sun and Moon, suggesting we may be tested in our relationships. We’re navigating the delicate balance of staying true to ourselves while taking other’ desire and priorities into account. This is a call for greater maturity in our relationships. This Full Moon brings an opportunity for rebalancing that dynamic by listening deeply to our bodies and hearts for what’s truly needed in our lives. The Full Moon is a time of fruition and culmination. We receive clear feedback about what is and isn’t working and the shifts we can make to get better results. Have a good month. I’ll see you in April for another Startalk.